The idea of this gathering is to bring in contact as many former MAICh graduates as possible in order to establish a network among them, as well as to rekindle memories. 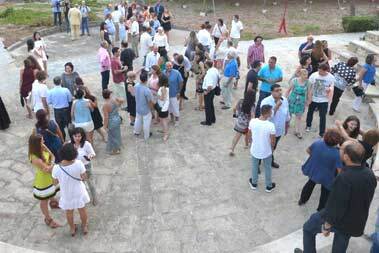 Following the highly successful "1st CIHEAM MAICh Alumni Gathering" in 2015 (video), which more than 250 people attended, the 2nd Alumni Gathering is planned for Friday 23rd August, 2019. "CIHEAM’S Multiculturalism as a contribution to Personal and Professional Evolvement"
We are honored to announce that the General Secretary of CIHEAM will attend the gathering along with a delegation of Alumni Coordinators from the 4 CIHEAM-MAI's. We would like to encourage you all to tell your own experience during this event. How did the years spent in the multicultural “Micro-society” of MAICh influence your life? What was the key point in this daily life that changed and/or embraced your vision? This is the time to present your story – your presentation may inspire future students! We will try to organize an unforgettable reunion! In order to make this come true, we need your support and participation!! 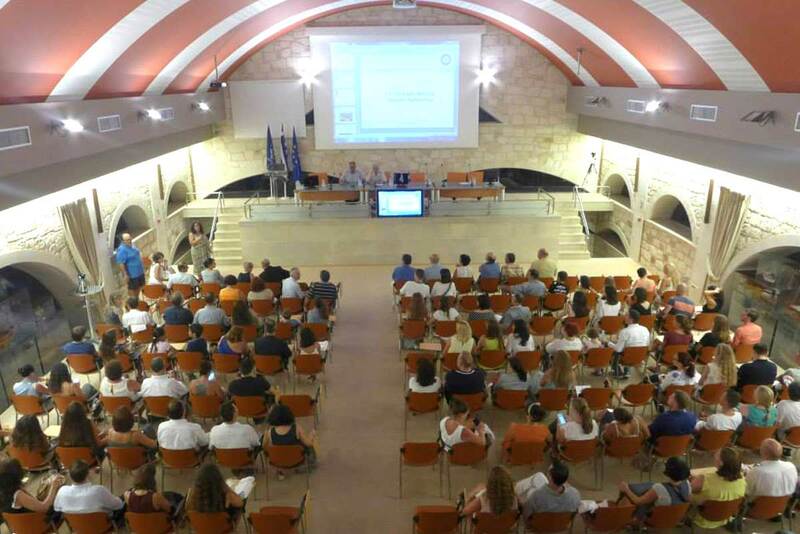 Presentations will take place on the 23rd August 2019 in the conference room POSEIDON located at the MAICh Conference Center before the Cretan Night. The program will be arranged according to the number of presentations. A workshop on "Hack stress: How the magic power of gratitude can change your life" will take place on 23rd August 2019 from 14.30-18.30. 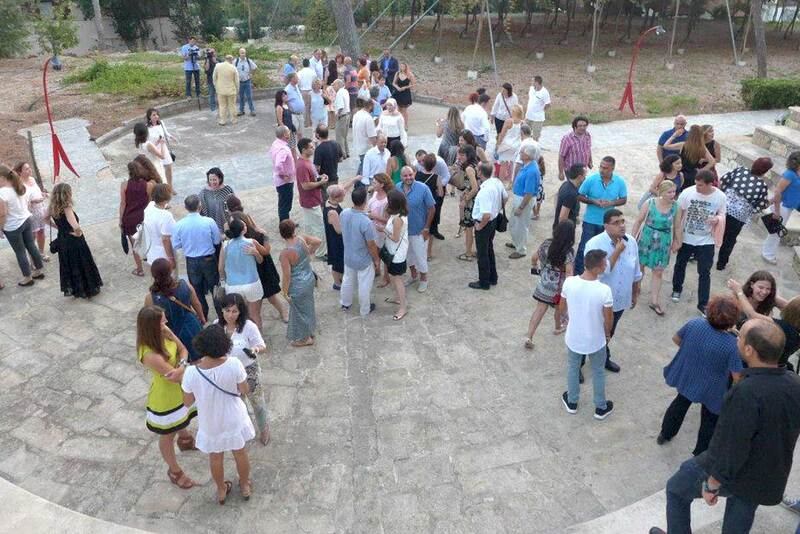 On the 23rd August 2019, at 20:00p.m, all registered alumni with their families, are invited to the Cretan Night (reunion dinner), with live music and dancers, which will be organized at the restaurant “Mediterranean” located at the Conference Center of MAICh. Presentations will take place on the 23rd August 2019 in the conference room POSEIDON located at the MAICh Conference Center. The deadline for submitting your presentation is 20/7/2019. Try to implement the theme “CIHEAM’S Multiculturalism as a Contribution to Personal and Professional Evolvement” of the 2nd Alumni Gathering in your presentation. Your presentation should be sent via email to confer@maich.gr. Have your presentation on a USB, ready to hand it to the technician half an hour before the start of the program. As we show gratitude, the universe responds by giving us what we are grateful for. This is the basic precept in the Law of Attraction which says that the things we focus on are the things we attract more of into our life. The more energy we have around something, the more energy it attracts. It’s basic physics. No matter what your religion or nationality, it seems that stress in life is inevitable. However, showing gratitude helps us to enjoy life more. It can help us to break through huge barriers and reduce our stress load, give us more confidence and help us meet our goals, no matter how big they may be. Do you have goals? Do you feel your goals are realistic for what you want to do and where you want to be? Do you think your finances are managed well? Do you feel fulfilled and happy in this facet of life? Are you comfortable in your body? Are you filled with energy? Do you enjoy the foods you are eating? Do you feel you have enough? Or do you think you need more? It’s all so simple, really. When we change the way we think, and start to fill our lives with thankfulness, nothing else is the same. We start to change our lives forever, and it DOES get better. If you are generally optimistic by nature, this can be enough to boost your optimism and keep you away from stress. If you are naturally pessimistic, by changing your life, you will move away from negative thinking and into something more uplifting. This improved state of thinking provides a raft of benefits from increased confidence, to decreased ill health, to increasing our enjoyment levels across the board in a range of different situations. Think about the last time someone said thank you to you and you knew they meant it. It does something quite magical to your relationship with them. If so, come and join us in the workshop “Hack stress: How the magic power of gratitude can change your life” which will take place in Chania, Crete, Greece on the 23rd of August, 2019. Samira Belhadj Lahiani is a Business Development Manager at Jacaranda International Trading. She has also an International Training License from the Canadian Training Center of Human Development. Samira attended the Economic Department and Management programme of MAICh and got her MSc in 1997. You can register to attend the workshop while you complete your online registration for participating to the 2nd CIHEAM MAICh Alumni Gathering. A special question applies. Please note that all Alunni must register online in order to participate in the gathering. Please state, through the online registration system, whether you wish to present, and the title of your presentation. 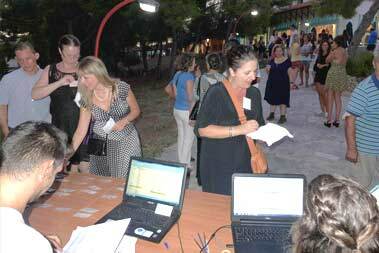 Alumni who need a VISA for their participation should contact confer@maich.gr after completing their registration. For VISA requirements, proof of accommodation must be provided. Please take into consideration that VISA applications should be submitted at the consulate where you will receive your VISA from, no more than three (3) months before you are due to arrive in Greece. Please consult the website of the Greek Ministry of Foreign Affairs for further information and updates. 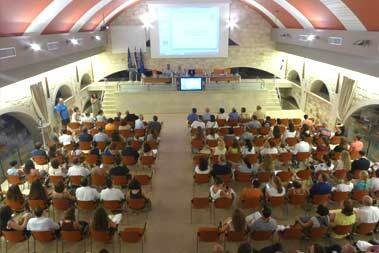 The venue is the International Conference Center of the Mediterranean Agronomic Institute of Chania (MAICh). Alunni wishing to be accommodated in MAICh premises should complete the online form. 60€ for a family room (4 persons) - an extra person in the family room will be charged at 15€/day. The extra charge should be paid upon your arrival at MAICh. A deposit for the 1st night's stay must be paid through the online registration system as a guarantee. The remaining amount should be paid upon your arrival at MAICh. Cancellations of reservations 5 days prior to participant's arrival: a full refund will apply. Cancellations of reservations up to 2 days prior to participant’s arrival: a cancellation fee equivalent to the cost of one night’s accommodation will apply. *Meals will be served during the working hours of the restaurant of MAICh. There is no deadline for room reservations. Rooms will be booked and allocated on a first-come, first-served basis. So please don’t be late! The conference secretariat must be notified in writing of any cancellations of accommodation, by email: confer@maich.gr, otherwise no refund will be made. Refunds will be available after the end of the event.